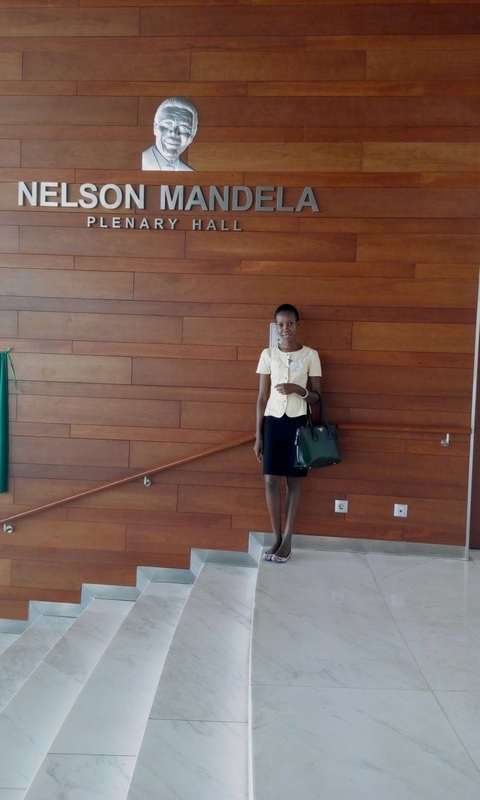 By Jesca Mmari, YWCA-TANZANIA attends the AU Summit and shares her reflections. This year is an important year for the women of Africa. For the first time, the African Union (AU) has dedicated the year 2015 as a “Year of women’s empowerment and development towards Africa’s Agenda 2063”. It is reason to celebrate and join our efforts towards achieving gender equality and women’s empowerment now more than ever. There is a need for collective efforts in expressing what we women want; including the changes in policy and development that support the growth of women. But as I look at young girls in the society it is sad to see that our communities still engage in child marriage, even though it is against human rights. These young girls who are married are not yet mature enough to bear children and take care of a family. They are committed to heavy responsibilities and when they fail to perform these, they are either physically or emotionally abused. In this year of women, I urge the AU to step up in ensuring that the rights of young girls and women are well protected. I attended a dialogue held by the AU Goodwill Ambassador for Ending Child Marriage, Nyaradzayi Gumbonzvanda; on Ending Child Early and Forced Marriage which brought together different stakeholders. There was a heart moving story of a survivor of child marriage from Zimbabwe, Miss Loveness Mudzuri. It greatly touched all of us as we faced a 19 year old mother of two who was forced out of the house by her parents after she got pregnant as they felt ashamed. She was forced to live with the man who got her pregnant and could not continue her studies after giving birth. This is one of the problems that young girls experience in our society. Most of them lack comprehensive sexuality education and that makes them fall into the hands of men who manipulate them and get them pregnant. At the dialogue, the AU Commissioner for Social Affairs, H.E. Dr. Mustapha S. Kaloko said “If equal opportunity is given to both boys and girls, girls do better than boys”. I saw this statement as enough motivation for the parents who marry off their young daughter thinking that their place is in the kitchen cooking and cleaning. Parents should change their way of thinking and instead give them the same chances as boys to study in a suitable environment. Parents should engage in conversation with their children on the changes in their body and how to respect their bodies. This can build good relationships between parents and children and help children consult their parents in case of a problem rather than falling into peer pressure advice. Our governments need to commit on the marriageable age of a girl (which is 18, but there could be advocacy for a higher age) and setting appropriate punishment for all involved in the marriage of a younger girl. But also, the government needs to commit to a holistic approach in education. The AU can hold the states accountable on reporting how they implement laws and policy to end child marriage. It has been said that “If you educate a girl you educate the whole community”. Let’s all join efforts from the local to the global level and fight to end child marriage and build the Africa we want.